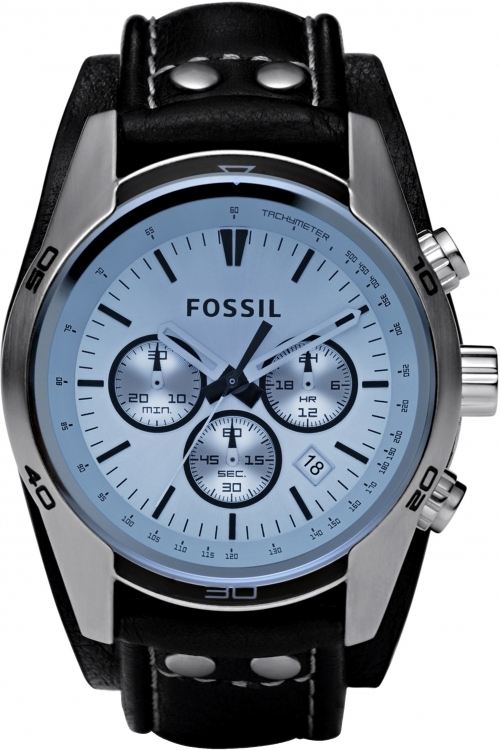 This mens Fossil Trend model features a sporty design, with a pale silver dial with unusual blue glass, and fastens with a chunky cuff style black leather strap. Other features include date, chronograph function and clear baton hour markers. The 44mm stainless steel case is fitted with a quality quartz movement.